Samsung Electronics is already a big winner for this year's Cannes Lions International Festival of Creativity, scoring the award for Marketer of the Year. The brand will be honored during the festival in June. "When you look at Samsung's wins at Cannes Lions, even just last year, what strikes you is the diversity of Lions that they are taking home through their overarching commitment to creativity. They're excelling across the board, including in areas such as healthcare communications, craft and branded content, as well as picking up a Titanium Lion," Terry Savage, chairman, Lions Festivals, said in a statement. 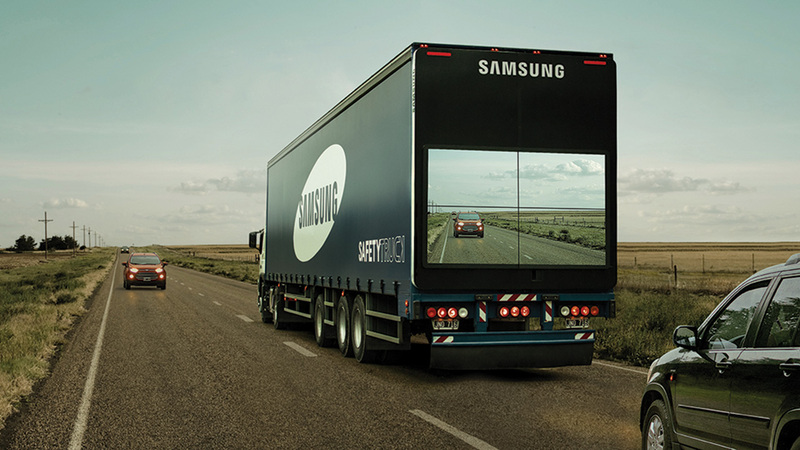 At the 2015 festival, Samsung walked away with 27 awards for some of its work including the innovative live-saving technology to be fitted onto big trucks, the Samsung Safety Truck—which was also awarded the Gravity Award for Adweek's Project Isaac Awards honoring creative innovation, last year—from Leo Burnett Argentina. The agency and brand scored a Titanium Lion for the work. In the past year, Samsung has continued to create innovative campaigns, pushing further into virtual reality and collaborating with companies like Vice and 20th Century Fox to bring VR experiences to life for consumers. Other recent campaigns include work from Wieden + Kennedy for the Galaxy S7 starring Lil Wayne and a spot from Leo Burnett Italy featuring new technology for motorcycles that check texts, calls and emails. "At Samsung, enriching people's lives is at the center of everything we do, and our marketing reflects this philosophy," Moon Soo Kim, evp of global marketing center at Samsung Electronics, noted in a statement. Each year, Cannes Lions selects one marketer that has gone above and beyond, creating campaigns that are both innovative and inspiring. Previous honorees include Heineken in 2015, Coca-Cola and McDonald's.